He has already been thrust into the spotlight having turned down offers from Paris Saint-Germain and Manchester City, and it seems Kylian Mbappe will need to become used to this sort of interest as the race for his signature heats up again before the summer. The 18-year-old had the opportunity to join Real Madrid’s academy back in 2013 before turning his back on PSG too and opting to join the Principality side instead. Last year, Manchester City saw a 40 million euro bid rejected by the current Ligue 1 leaders, and now the France youth international will not leave for less than 70m euros with Les Parisiens preparing an 80m euro bid for the player. But Monaco will have to face off against a host of other clubs soon enough with Arsenal, Manchester United, Barcelona and Real Madrid also keeping tabs on the starlet. And whilst the Ligue 1 outfit would ideally like the player to remain, the side’s owners are resigned to the fact that the ball is in Mbappe’s court. “We want him to continue, we are proud that he shines and we have started talks to strengthen his contract … but I cannot guarantee that he will continue in Monaco,” vice president Vadim Vasilyev told RMC. Nevertheless, it should come as no surprise that a player of his quality would garner such interest. Into his second season at Monaco, the Frenchman already has 12 league goals in 22 appearances and has 19 goals from 32 appearances in all competitions this season, securing a call-up to the national squad for their matches against Luxembourg and Spain in the process. Unsurprisingly, he has been compared to Thierry Henry, and his knack of breaking records only further cements his position. 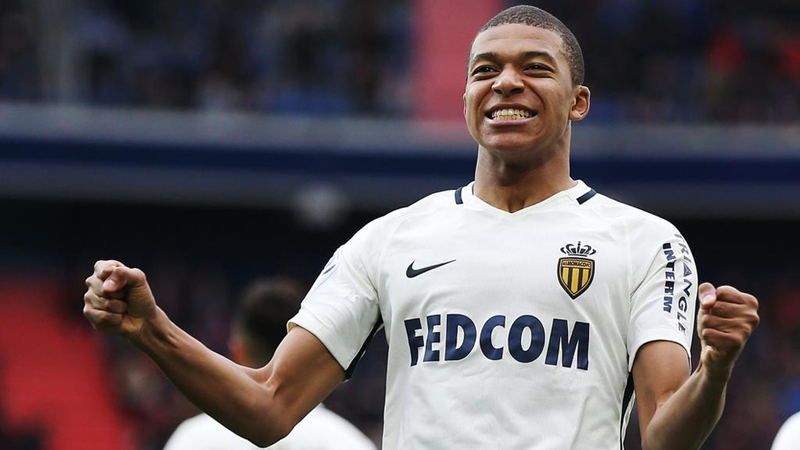 Mbappe is the youngest player to debut (16 years and 11 months) and to score with Monaco (17 years and two months) and last weekend became the most precocious (18 years and three months) to reach 12 goals in the Ligue 1 and is the youngster goalscorer in the Champions League last-16. “He is very respectful and calm, but give him a ball … and it is not so nice,” said Henry of the attacking starlet.